Home MARINE BATTERY TIPS What Size Battery Do I Need For My Boat? What Size Battery Do I Need For My Boat? If you are a boat owner, then you are probably wondering. What type of marine battery do I need or What size of battery do I need for my boat? Selecting the right type and size of battery are crucial to making sure that it can keep with all of the boat’s needs. It will make sure that the battery is capable supplying enough power to the boat to allow it to function the way you like it and the way it is expected to be. However, selecting the right type and size of the battery can be an overwhelming task due to the wealth of available choices in the market today. If you have the knowledge about batteries and if you know what want, looking the best suitable battery can make it easier. But if you don’t have any idea of what to look for in battery, then you might be in trouble. Fortunately for you, this guide will provide you all the information you to walk you through the process of picking the right marine power cell for your boat. You have to keep in mind that, marine batteries don’t last forever and at some point, they will lose their capabilities to store charge. In cases like these, you will only have two options, purchase a new replacement or try to recondition your battery. Now to help you in your search for the right battery for your boat, you may want to stick around and continue reading through this guide. It will feed you all the details and information that you need to come up with a smart decision and pick the right suitable battery for your needs. 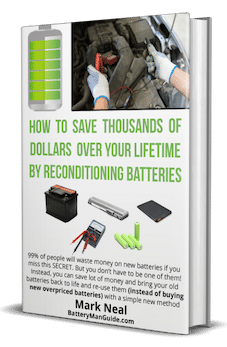 ​As A Way To Introduce You To BATTERY MAN GUIDE, I’m Giving Away My Ultimate Guide To Battery Reconditioning FREE eBook.Click Here To Get Your FREE Copy Of It. As we mentioned earlier, picking the right size of the marine battery is crucial for your boat. Picking the right size of battery will make sure that it has the right dimensions that will fit in your battery compartment. 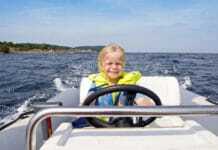 Boats come in various sizes, and they also come with different accessories, then you need the right type and size of the battery to power them all. The larger the boat and its electrical load the larger the battery it needs to get enough amount of power that it needs. 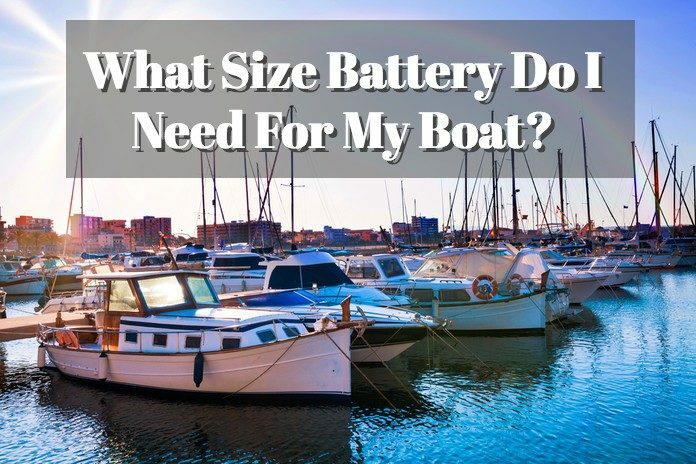 When it comes to picking the right size of battery for your boat, that first thing you have to do is to determine the actual electrical load of the boat. It will give you an idea of how much power do you need to crank up its engine and at the same time power all of the boat’s electrical components and accessories. Once you have an idea of the enough power that you need, you can now then identify what size of battery you are going to need. What Does Battery Group Size mean? In searching for the right size of battery, it will all have to go down to identifying the right group size of marine battery. Considered as one of the specifications of marine battery that you have to look for. It simply indicates the dimensions of the power cell housings that the Battery Council International (BCI) set. It is the standard sizing of marine batteries where it indicates the length, width, and height of the housings of the batteries. To guide you in your search for the right size of battery for your boat below is a chart of the common group size of marine batteries that you can consult. A Size Chart of the Most Common Size of Marine Batteries in the Market Today! Choosing the right type of marine battery is going to be crucial for your boat’s performance, and when it comes to picking the right type, you also have to consider the chemistry of the power cell. Before you choose the battery for your boat, you have to keep in mind that the battery will handle two things; starting your boat’s engine and running all of its electrical load. Being aware of this aspect will make sure that the battery you are going to purchase will have the capability to provide every power that you need for your boat. When it comes to choosing the right type of power cell for your boat, it will also have to depend on your boat’s requirements. You always have to determine the applications the battery going to be subjected to for you to identify the suitable type of battery. Then you will have to consider what battery chemistry it has to have to be so that it can keep up with all the demands of your boat. To help you find out the right battery type for your boat and the battery chemistry that will suit your needs, you can refer below. ・Starting Power Cells - This is a type of marine battery designed to start boat engines and provide enough power to power a boat’s electrical grid. Most of these batteries are able to deliver from 75 to 400 amperes from 5 to 15 seconds. They are also recharged slowly by the alternator of the engine. These batteries are also built with thinner yet more battery plates to allow them to produce high amounts of current in short bursts. However, this type of battery is vulnerable in extreme environments which doesn’t allow them for deep discharging operations. This reduces its runtime that may increase the downtime of some of the boat’s electrical components. ・Deep Cycle Power Cells - A deep cycle battery is a power cell designed for deep discharging operations. It is a type of battery that can offer larger power storage and longer runtime. These batteries are built to power larger electrical loads from its own and without any source of charge.  Compared to the first type of battery, deep cycle batteries are capable of providing enough power for longer periods of time. They are built with thicker battery plates that allow them to have longer service life which is beneficial for boat owners. Charging these batteries take time and the greater the amount of discharge they have will determine how long they will take to be fully charged. Smaller boats that need enough power for both starting their engine and running their electrical loads from a stand-alone battery. They are also suitable for sailboats with two interchangeable batteries for powering electrical loads. Dual purpose batteries can a be a good replacement battery for boats that need enough power for their electrical load and starting their engine compared to starting batteries. ​Those are the different types of batteries that you can choose from. You have to keep in mind that selecting the right type of battery is going to be crucial for your boat’s performance. Now you have to learn about the different types of battery chemistry to make sure that you are going to pick the best suitable battery for your needs. Now that you are familiar with the different types of batteries available in the market, this is the time to learn about the different types of battery chemistry. Which is another crucial aspect in choosing the right type of battery that can keep with the needs of your boat. ・Flooded Batteries - A type of battery that uses a reservoir of sulfuric acid in liquid form. It is a type of power that produces hydrogen and oxygen when they are getting charged. This battery features vented cells to allow the gases to escape safely. They need more maintenance compared to other battery chemistry, and they are great in handling overcharging. These batteries are often cheaper but they also weak against vibrations and shocks. This type of battery also self-discharge at a higher rate. ・Gel Type Batteries - A gel type power cell is a type of battery that has a gel type electrolyte that makes them a lot safer to use. These batteries are built to be spill-proof, maintenance-free, submersible and leakproof. They are built to have a lower rate of self-discharge, and they are engineered to eliminate gassing. 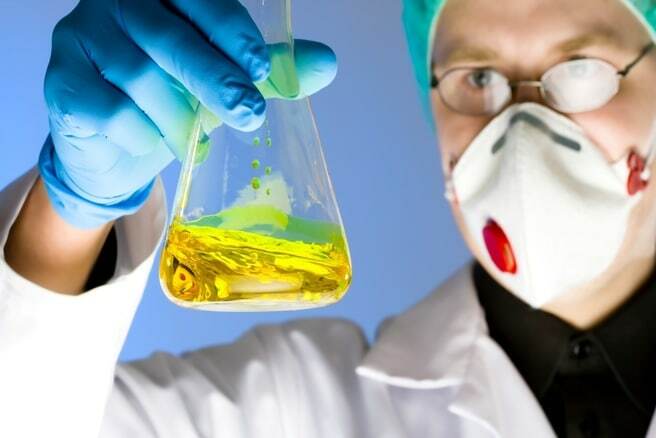 With their unique chemistry, they are a lot safer to install and more convenient to use. ・AGM Batteries - Absorbent Glass Mat type of battery is a power cell that features a unique battery separator technology that allows it to use dry electrolyte. It offers a larger storage capability, higher amount of cycles and improved runtime, making the most favored battery by a lot of boat owners. 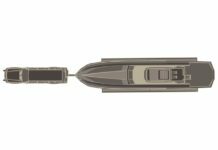 Offering quick recharging capabilities, greater starting power and a lot of excellent features, this is considered as one of the best choices to power larger boats. ・Lithium-ion Batteries - This is the latest battery technology available on the market today. It is a type of battery that offers a lot of excellent features like longer service life, larger electrical storage capacity, longer runtime and fast recharging rate. This type of battery also features lighter and more pact housing. However, all of these excellent features make this battery type very expensive. This alone makes a lot of boat owners think twice before choosing this type of power cell. 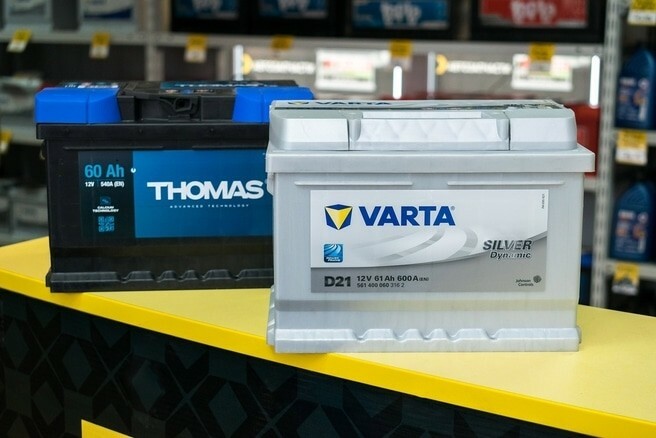 After learning the different types of batteries and now that you are familiar with all the different battery chemistry, you can now start choosing the right battery type for your needs. However, even if you get the right type of battery with the right size that will perfectly fit your needs. This won’t last forever, and it will die at some point. If this happens, you can either buy a new one or revive it. When it comes to buying the right power cell for your boat, the very first thing you have to keep in mind is that it has to handle two different tasks at the same time. First, it has to start the engine of your boat. Then it has to power all the electrical components and accessories of the boat. The marine battery you will purchase should also have the ability to keep up with the demands of your boat to make sure that your boat will provide the performance that you need. You also have to consider several important aspects in choosing the right suitable power cell for your needs. It will make sure that the battery you are going to pick will have the right specifications that will suit the requirements of your boat. To help you pick the right battery that will suit your needs, here is a guide that will walk you through the process of how to choose the best battery for your trolling needs. Below are tips and things you have to consider to help you get the right marine battery for your boat. If you are trying to find the right suitable power cell for your boat, you first have to determine the entire electrical load of your boat and the current that it needs to start its engine. As we mentioned above, your marine battery will have to handle two tasks. Starting your boat’s engine and running its entire electrical grid. If you have an estimated value of these two things, then you will have an idea of what kind of battery you need to handle these two crucial tasks. 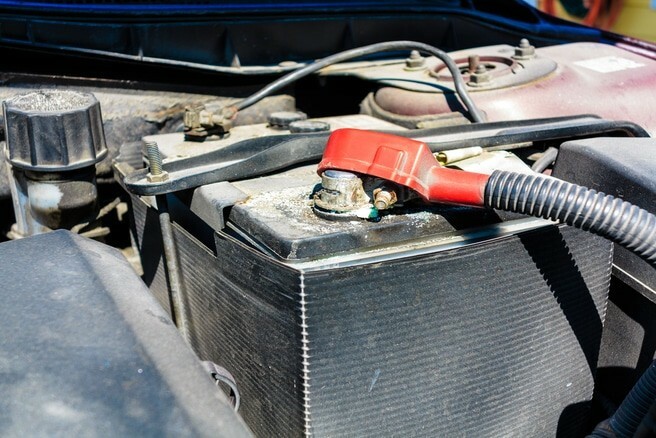 Cold weather or low-temperatures makes it hard for batteries to start an engine. This is why you to consider the Cold Cranking Amps of a marine battery. It indicates the battery’s ability to provide enough power to start your boat’s engine in cold weather or low-temperature conditions. The higher the CCA or cold cranking amp rating the battery has, the better for you boat. This simply means that the battery will not have a hard time starting your boat’s engine in low-temperature conditions. The reserve capacity of a power cell indicates the amount of time it can stand on its own and provide the power your boat needs for its electrical components. It tells about the amount of time a fully charged marine battery requires to drop below 10.5 volts if it is discharging 25 amps. 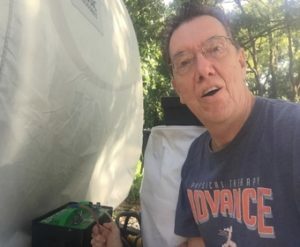 The larger the electrical load of your boat, the higher the reserve capacity it needs to be able to run the entire electrical grid relying on the battery alone. Batteries with higher reserve capacity can be a bit expensive, so make sure to weigh all your options carefully to come with a smart decision. ​In choosing the right battery for your boat and your needs, you have to make sure that you are going to get the right type of battery. You also have to make sure that the battery you are going to choose has the suitable chemistry that will fit the applications it will be subjected to. Considering this aspect is important to make sure that battery you are going to purchase is capable to keep up with the demanding needs of your boat and its applications. To help you in this aspect, you can refer to the section that talks about the different types of power cell above. To be able to select the right battery for your boat and your needs, you also have to make sure that you determine the right size of battery you need. We mentioned earlier that size of battery you are going to purchase would have to depend on how much power your boat needs. It means, the larger your boat is and the larger its electrical load it has, the larger size of power cell it needs to keep up with its demand. To guide you on this aspect, you can refer to the battery size section of this article above. Another important aspect that you have to consider in picking a marine battery is the design and maintenance demand of the power cell. Ideally, you want to go for the maintenance-free batteries with durable design. They are more convenient to use, and they will also help you save a lot of money in the long run by reducing the maintenance expenses and by providing longer service life. Considering the design of the power cell will also make it easier for you to install the battery itself. ​Considering the date of manufacture of the power cell will give you an idea how long the battery will last. This will give you an estimate of how long the power cell will serve you starting from your purchase. Of course, you want to for the batteries that can give you more years of service so that you can get the most out of it. You don’t want to get a battery that will only last for a year because it will waste a lot of money and it is considered to be a bad investment. You also have to think about the included warranties when purchasing the power cell. Aside from it can keep you from buying incompetent batteries that won’t be able to keep up with your needs. It will also help you save a lot of money in the future because it can reduce the maintenance cost and then it can provide a lot of benefits like manufacturer’s support, free repairs, and even replacements. Following this guide will help you come up with a smart decision and pick an excellent investment for your boating needs. It will make sure the battery you are going to purchase can keep up with the demands of your boat as well as its applications. It will also make sure that you are going to get the best suitable power cell for your boat which you can consider as an excellent investment. So keep these significant aspects in mind because it will help you a lot if you are going to look for a new power cell for your boat or fishing vessel. After equipping yourself with all the information that you need that will help you pick the best suitable marine battery for your boat. It is important to remember that at some point, the perfect power cell you purchased will eventually die. 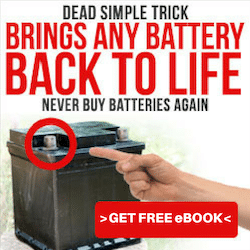 With this, the most affordable option you have is to attempt to revive it or recondition it, which is a lot cheaper compared to purchasing a new replacement battery. If you are a boat owner and you are trying to figure to look for a new or replacement battery. You probably have this question in mind, what size of battery do I need for my boat? If you want to answer this question, then you are in the right place. This article will provide everything that you need to know regarding the different sizes of marine power cells available in the market. It will also provide you details that will let you understand why is it important to get the right size and type of battery for your boat. The article will also walk you through the different types of power cells and the different chemistry that they have to help you identify what to look for a battery. There’s also a guide above that will help you in your search for the best suitable marine power cell for your boat. Allowing to have an excellent investment that will give you the best value for your money. Get The Free eBook, Now! But it doesn’t have to be like this because this free eBook can help you! Follow the exact method to go from spending $15,000 over your lifetime to Zero Dollar spent on any battery! YES, SEND ME THE FREE eBOOK, NOW! ​CLICK HERE & GET THE FREE eBOOK NOW!